Samsung Galaxy Note 7, the latest phone/phablet from Samsung, is expected to be revealed at a Samsung launch event in New York on the 2nd of August. Product images of the new phone, as well as the specs, have already been leaked online. Here’s a rundown of what this highly anticipated device has to offer. The successor to Samsung Galaxy Note 5 was initially thought to named Note 6. However, Samsung has decided to utilise a uniform version number across its phone line up and therefore opted for the number 7. 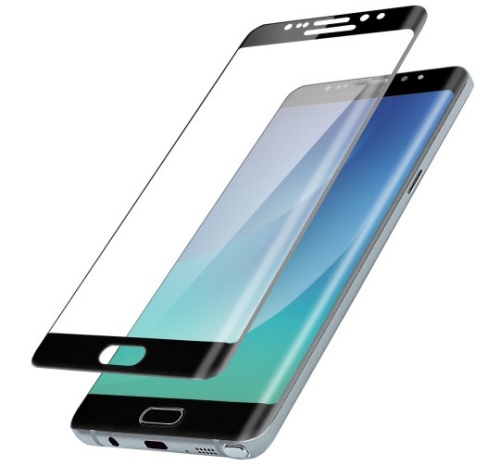 The Galaxy Note 7 will have a 5.7-inch super-AMOLED display. It will either feature Samsung’s own Exynos 8893 processor or the latest Snapdragon 821 processor depending on the market. Three storage options are available: 64 GB, 128 GB and 256 GB. The trend of increasing memory continues. The latest Oneplus 3 has 6 GB of memory and Galaxy Note 7 will also feature 6 GB RAM memory, which will ensure smooth usage. It’s rumoured that next year’s Surface phone might receive 8 GB of memory in order to take advantage of desktop docking using Continuum. The battery capacity will increase from 3,000 mAh in Note 5 to 4,000 mAh in Note 6. The battery won’t be replaceable similar to Note 5’s arrangement. Samsung typically offers a great camera experience on its phones leveraging its strength as a digital camera manufacturer. Samsung Galaxy Note 7 camera is identical with Galaxy S7 and features a 12 MPrear camera with Dual Pixels. Image stabilisation enhances the image quality when taking photos on the go. The front camera has a resolution of 5 MP. Android 6.0.1 (not the latest Nougat OS, but it does have a new Grace UI.